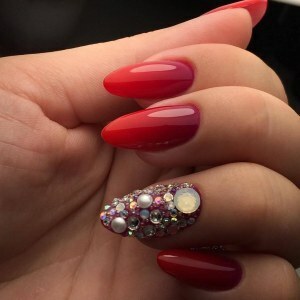 Cool glitter manicure nail design idea on oval nails. 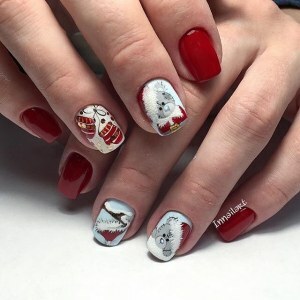 Christmas nail art: Teddy Bear, red gel polish, short square nails, mitten, golden sequins, white gel polish. 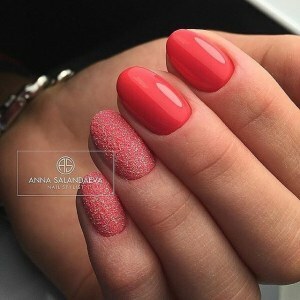 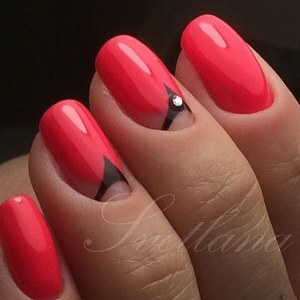 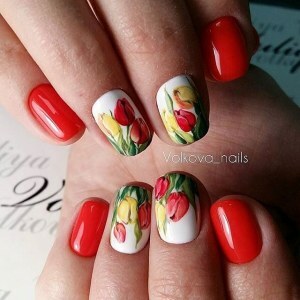 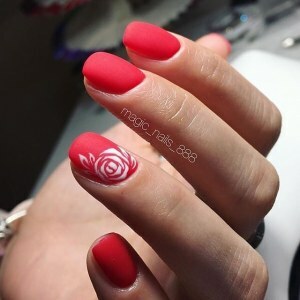 Beautiful New Year's nail design. 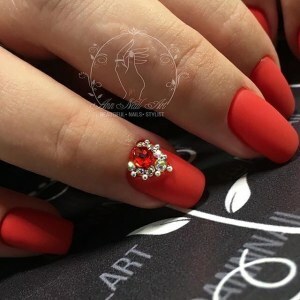 cake with berries, red gel polish, square nails.